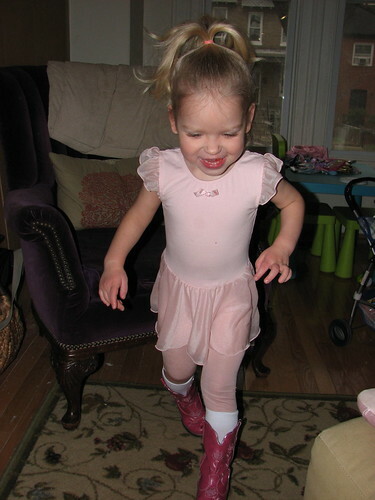 MJ had her first ballet class this past Saturday. Although she looks somber here, she was stoked! Now you can see the enthusiasm. She has three friends from our old co-op playschool in this class. 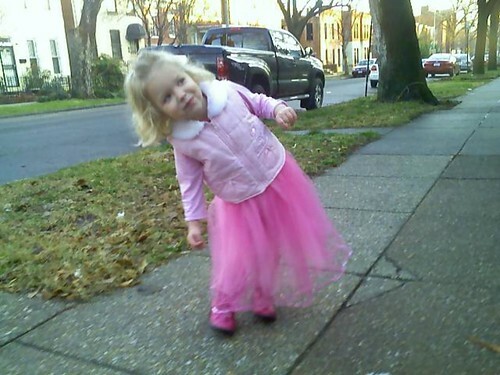 Here's MJ with Lauren, following Miss Abby up the stairs to the ballet classroom. 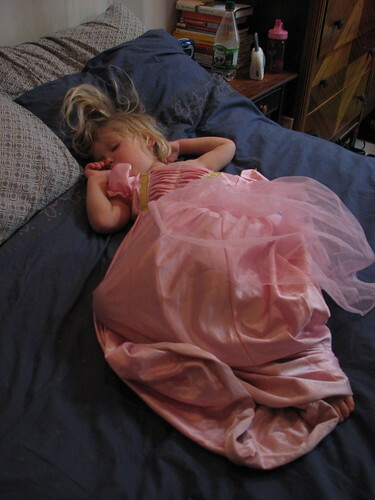 Even princesses get all tuckered out. 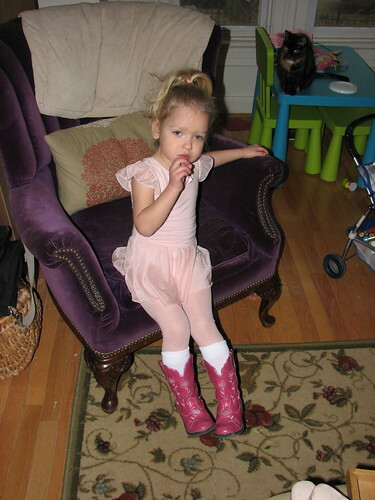 Ballet tutu and hot pink cowboy boots. 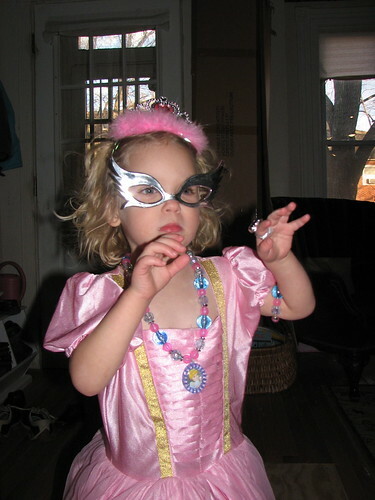 That's our girl! 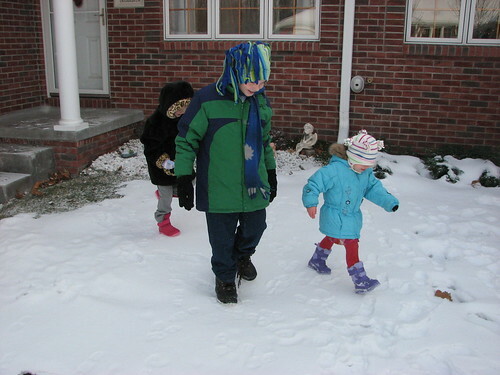 Playing with cousins Ted and Grace outside Grandma & Grandpa's house. 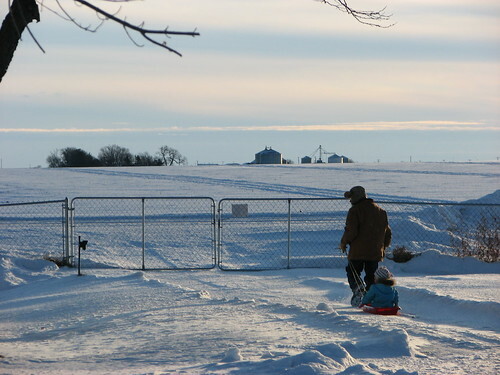 A trip to the farm meant sledding with Grampy!
. 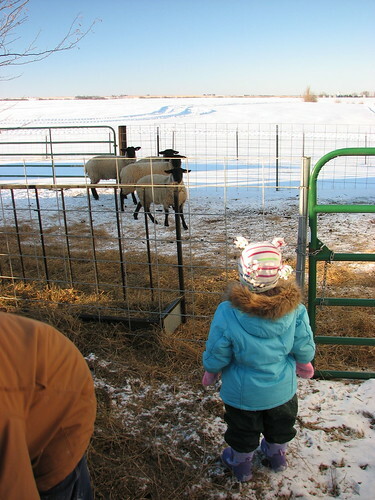 . . and checking out the sheep. 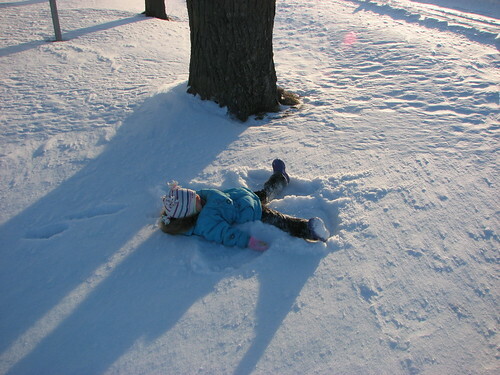 MJ learned about snow angels from Winnie the Pooh. She made a lot of them. 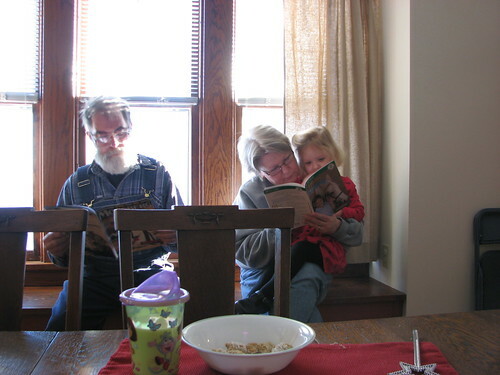 Reading with Grandy and Grampy. 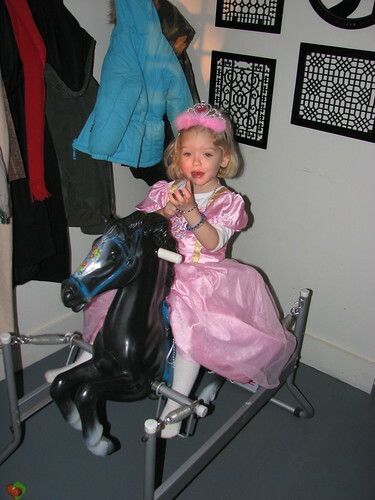 A true princess on her trusty steed.